Back row, left to right: Swee'Pea; Frasier; Lynn; Sandy Crabbe; Jordan and Punkin. Front row, left to right: Jamba; Diane; Pele and Blarney McBean. Patch Works is a 501(c)3 organization, dedicated to bringing joy to those who need a booster shot of laughter. 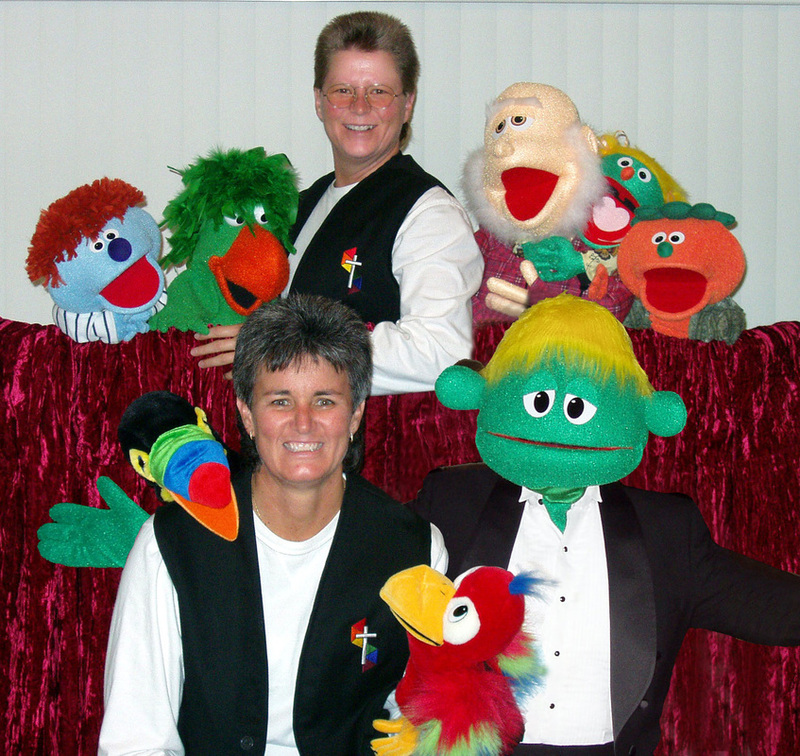 Using puppetry, sing-a-longs, misfit magic, vaudeville comedy and story-telling, we help others forget their woes and laugh again. We love to laugh! NOTE: Patch Works has never charged for this service. If you would like to support us in our mission, please visit our support page. best cures in the doctor's book. Bringing laughter back to those who lost theirs along the way.